Dynamedion, a.k.a Sonuscore’s mothership supported game developer METRICMINDS within the parameters of their “Indie Developer Program”. Within this program, Dynamedion supports indie developers throughout all areas of professional audio services: starting with valuable advise, audio integration, special indie rates, special licensing options, all the way up to sound FX and music compositions. This helps indie developers keeping the budget low and at the same time keeping the quality level high. One very nice outcome of this program is the great VR game Catch & Release by METRICMINDS. “Catch & Release” is a wonderful relaxed VR simulation game with a meditative twist which has been released today on the Steam & Oculus stores. 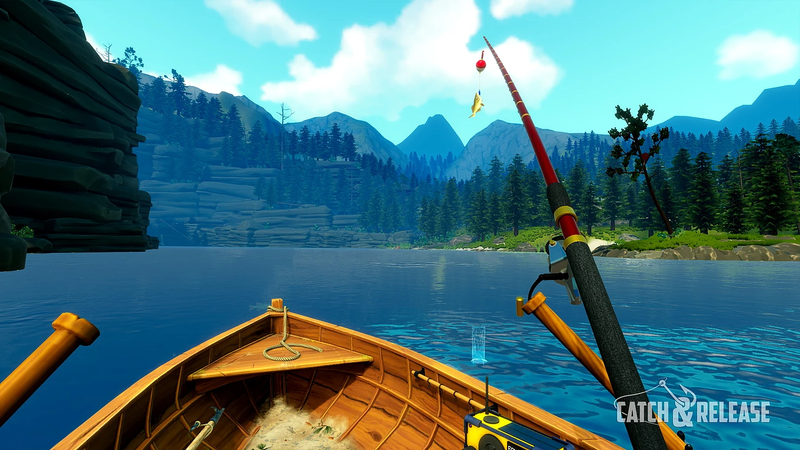 With playful, fascinating gameplay and a special graphics style, Catch & Release offers players the opportunity to interact with a beautiful world, catch fish, find treasures, and row their own little boat through a quiet and detailed sea environment. Our composers tested it and it’s a wonderful opportunity to get out of the stress of everyday life and find new strength and inspiration.